Part pastry, part cutie, all sweetie! Just like her nameskae, Éclair is a ganche-covered sea otter who loves to float on the royal milk sea and nibble on taiyaki (Japanese sweet bean cakes) all day long! 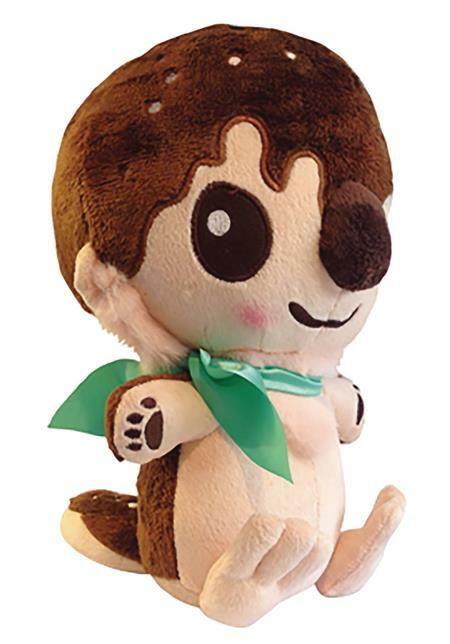 Each Eclair Otter stnds 10 1/2-inch tall and is made out of minky fabric with embroidered details. They are kid-safe and machine washable on gentle cycle.